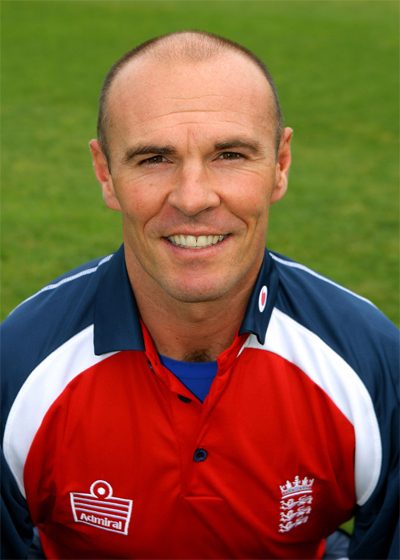 Paul Nixon (born 21 October 1970 in Langwathby) is an English cricket player who played for Leicestershire, England, England A, MCC and Kent. He is a wicket-keeper and left-handed batsman. He announced that he would play his final game of professional cricket at Grace Road against Kent on 6 August 2011 in a T20 quarter final, which meant that should Leicestershire beat Kent and get into finals day he would play. Leicestershire got into finals day, having had to achieve their highest ever T20 chase of 203 in 20 overs, which they managed in 19.2 overs, with Nixon scoring 31 runs from 17 deliveries. Leicestershire then went on to win the competition; firstly beating Lancashire in a super over eliminator, then beating Somerset by 18 runs in the final, meaning that Paul Nixon got the fairytale end to his career that he dreamed of. His retirement on 27 August 2011 marked the end of his 23-year career. His energy and enthusiasm behind the stumps along with his inventive batting technique have been hailed by many. Nixon has made the reverse sweep his own and is one of the few keepers to leave the stumps and dive in front of the ball when opposing batsmen attempt this stroke. On the last day of the 2006 season, Nixon was used as a declaration bowler against Essex. He was clubbed for 69 off five overs, whilst Darren Robinson, bowling at the other end, was hit for 117 off just 4.4 overs. Mark Pettini smashed 114 off just 29 deliveries, a knock including 11 sixes. According to a BBC report, they both served up “10 overs of utter rubbish – on agreement – to allow Mark Pettini the easiest century he will ever hit.” This serves to demonstrate, if not Nixon’s desire to force a result, that he is not a cricketer intent on playing for averages. In October 2007, Nixon said that he would join the Indian Cricket League, joining fellow English cricketers Darren Maddy and Vikram Solanki. He remarked, “This is an exciting opportunity, it is perfect timing. India is the mecca of cricket and Twenty20 interest is high due to the national team’s success“. He played two seasons for the Delhi Giants before the ICL folded. Paul Nixon made his first class debut in 1989 with Leicestershire and with them he won two Championship titles in 1996 and 1998. He played for the club until 2000 when he decided to move to Kent. He spent 2 years playing for Kent but due to the emergence of Geraint Jones he was forced into returning to Leicestershire in 2003. During his second stint at Leicester, Nixon has scooped the Twenty20 cup twice and been a major component behind the Foxes success in this format reaching all of the finals days. He made a career best 144 not out against Northamptonshire in 2006. In July 2007, it was announced that Nixon had been appointed captain of Leicestershire until the end of the county season. The wicket-keeper took over from Darren Robinson, whilst Jeremy Snape remained in control of the one-day side. In August 2007, it was announced that Nixon would be the new club captain for all competitions, after signing a three year contract. Nixon has eighteen first class centuries to his name, with sixteen for Leicestershire and two for Kent. On only two occasions has his team lost after he has scored a century. The first time was whilst playing for Kent against Warwickshire in August 2002, where he hit 103 and then 26, took three catches, made two stumpings, and bowled three balls for eight runs in the second innings, as Kent lost by 10 wickets. The second time was whilst playing for Leicestershire against Northamptonshire in September 2007, where he totalled 30 and 110, and pouched four catches, as his side lost by 177 runs.